The report identified eight benchmarks that are the core dimensions of good careers and enterprise provision in schools and these are listed below. The implementation of these benchmarks has been tested over a two-year period in a pilot with 16 schools and colleges in the north east of England with very successful results. Every school and college in the pilot now fully achieves at least four benchmarks, where, previously 50% of schools/colleges fully achieved none. 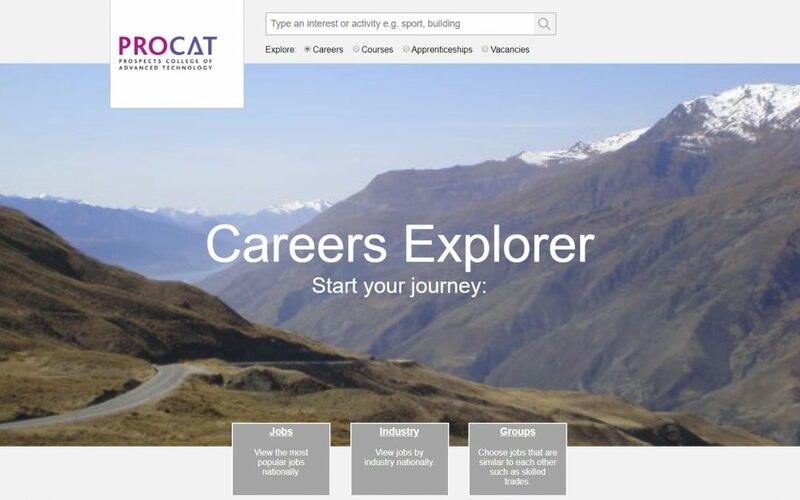 Careers Explorer is a unique online tool which enables colleges to deliver impartial and evidence-based careers advice using information about the local job market. Information about career options is delivered in an easy to understand and engaging way with links to live job vacancies. It is used widely by colleges across the UK to compliment their careers provision; helping them meet the Gatsby Benchmarks, which are to be fully implemented by 2020. Careers Explorer brings real-time LMI to your website, in a simple and engaging way. Users can view live job vacancies and apply for roles directly, as well as gaining a full understanding of occupations, skills requirements, salary expectations and local demand. A full range of pathways is clearly demonstrated using Career Explorer; based on the interests of the individual. Using a simple keyword search, users can explore all options within FE, HE, Apprenticeships or straight to employment opportunities. Course search results can be configured to only show courses offered by your college, or it can show all course options in the region, or even nationally. Results include links to the course website page, and direct links to apply. Apprenticeship vacancies are displayed via a direct link to NAS, and employment vacancies are displayed via the inbuilt link to Indeed Jobs. To meet the Gatsby Benchmarks, colleges will need to ensure their provision has strong backing from the head teacher or principal, senior leaders and governing body. Students need regular and positive encounters with employers; which requires strong and supportive employer links; as well as a good knowledge of the local labour market. Students need to be familiar with all routes available to them, including apprenticeships, and provision should fully embrace the diversity of the students it needs to accommodate. Colleges are expected to begin to work towards these standards, which have been designed over the past three years to ensure they succeed in a post-16 setting, now and meet them by the end of 2020. Colleges risk losing grant funding if the demands are not met in that timescale. Tools such as Careers Explorer can certainly help colleges meet many of the requirements set out in the Gatsby initiative. If you’d like to view Careers Explorer over a short online session where we can answer any questions you may have, please get in touch with a member of the team. You can also click here to see how Careers Explorer is used by Prospects College of Advanced Technology.